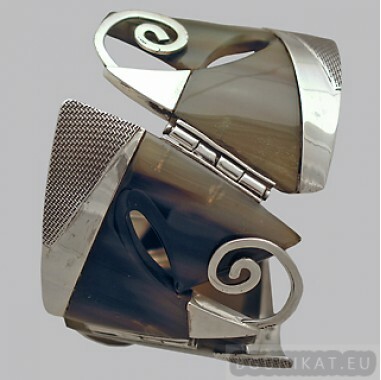 Original candlestick. 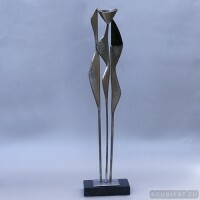 The candlestick is made of stainless steel and granite. 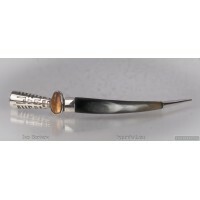 It is fixed firmly on ..
Sterling silver hair barrette with genuine amber and horn. 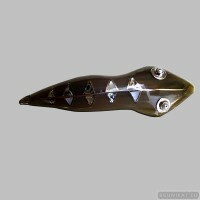 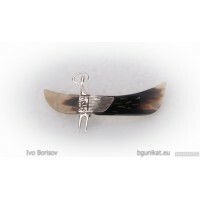 This barrette is fabricated from horn and.. 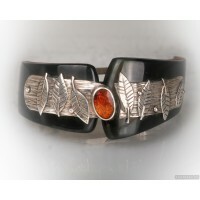 Handmade unusual sterling silver hair barrette with genuine carnelian and horn. 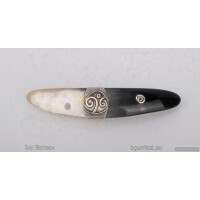 This barrette is fab..
Sterling silver hair barrette with genuine mother-of-pearl, pearl and horn. 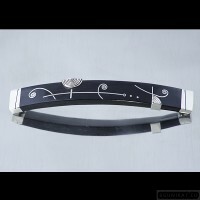 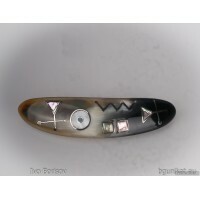 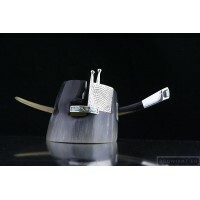 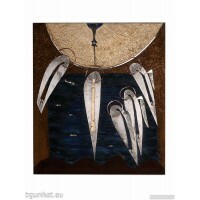 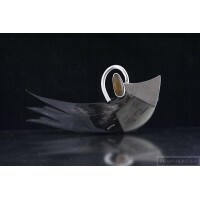 This barrette is fabrica..
Sterling silver hair barrette with genuine mother-of-pearl and horn. 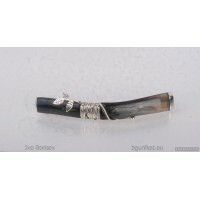 This barrette is fabricated fro..
One of a kind sterling silver hair barrette with genuine amber, pearl and mother-of-pearl. 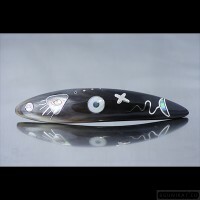 This barr.. 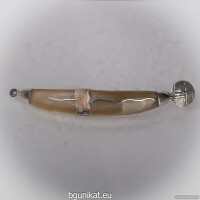 Unique sterling silver hair barrette with genuine amber. 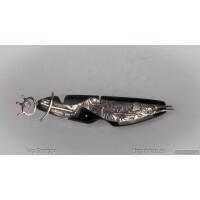 This barrette is fabricated from horn and s..
Sterling silver hair barrette angel with horn. 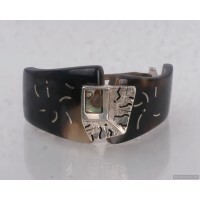 This barrette is fabricated from horn and silver..
Sterling silver hair barrette with genuine turquoise. 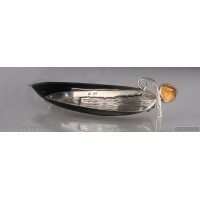 This barrette is fabricated from horn and silv..
Sterling silver hair barrette with genuine citrine. 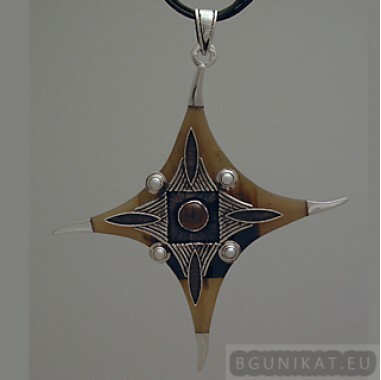 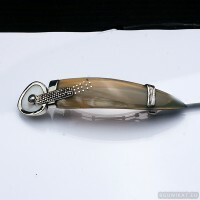 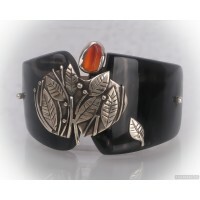 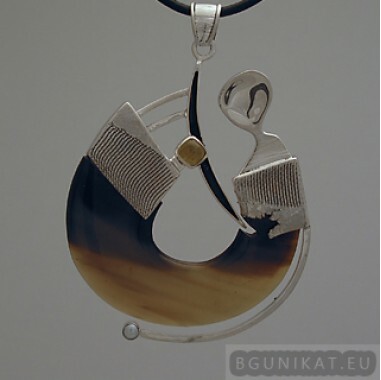 This barrette is fabricated from horn and silver..
Sterling silver hair barrette with genuine amber. 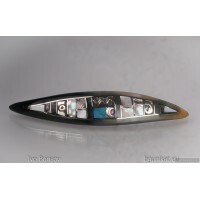 This barrette is fabricated from horn and silver 9..
Sterling silver hair barrette with genuine mother-of-pearl and citrine. 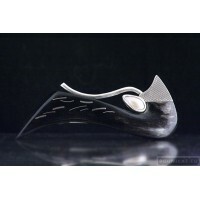 This barrette is fabricated ..
Sterling silver hair barrette with genuine mother-of-pearl and black freshwater pearl. 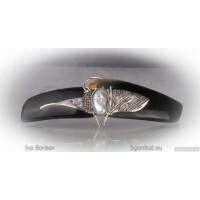 This ba..
Sterling silver hair barrette angel wing with genuine freshwater pearl. 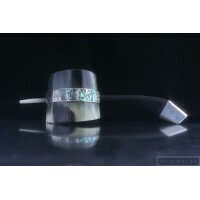 This barrette is fabricated ..
Sterling silver hair barrette with genuine mother of pearl and turquoise. 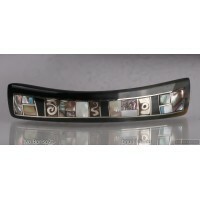 This barrette is fabricate.. 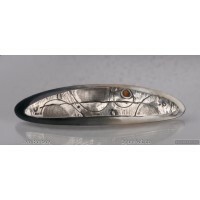 Unique, one of a kind sterling silver hair barrette. 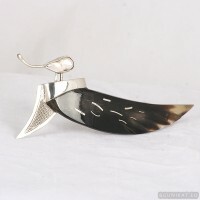 This barrette is fabricated from horn and silve..
Sterling silver hair barrette angel wing with genuine carnelian. 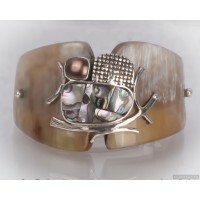 This barrette is fabricated from ho..
Sterling silver hair barrette with genuine mother of pearl and freshwater pearl. 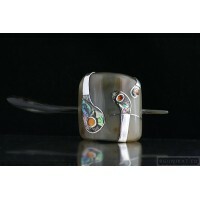 This barrette is fa..
Sterling silver hair barrette - snake - with genuine mother of pearl and 2 freshwater pearls. 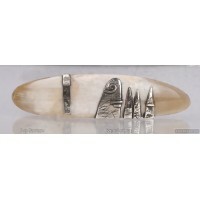 ..
Sterling silver hair barrette forest with genuine freshwater pearl. 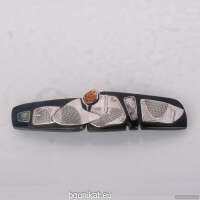 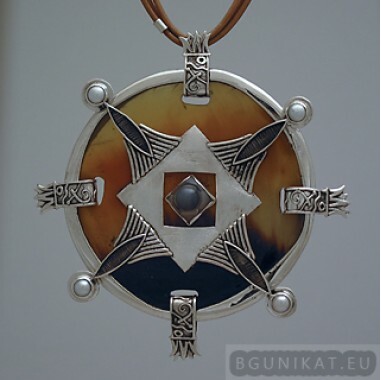 This barrette is fabricate..
Sterling silver hair barrette with carnelian and mother of pearl. 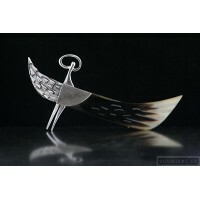 This barrette is fabricated from h..
Sterling silver hair barrette angel wing with horn. 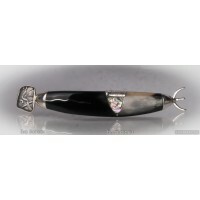 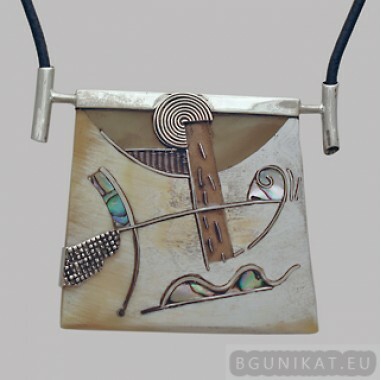 This barrette is fabricated from horn and s..
Sterling silver hair barrette with mother-of-pearl. 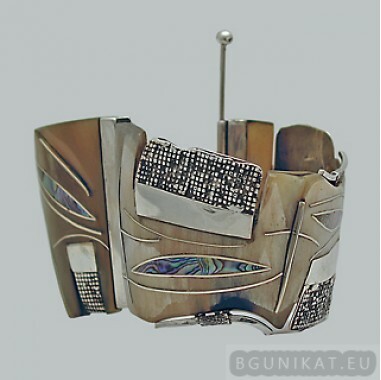 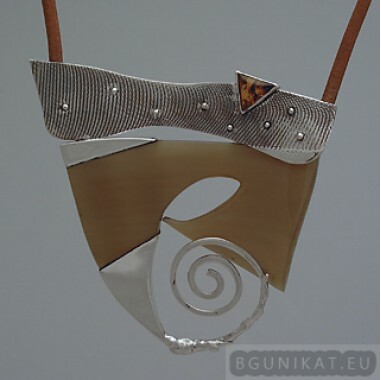 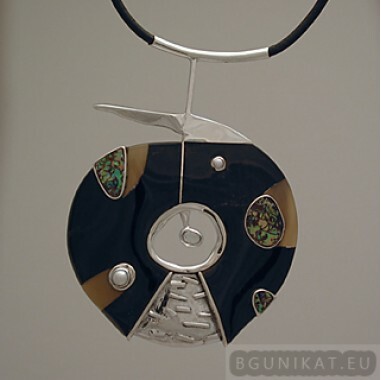 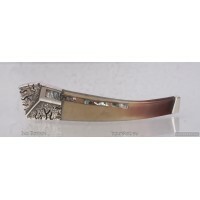 This barrette is fabricated from horn and silver..